1. Heat pan with oil and sauté pork slices until slightly brown. 2. 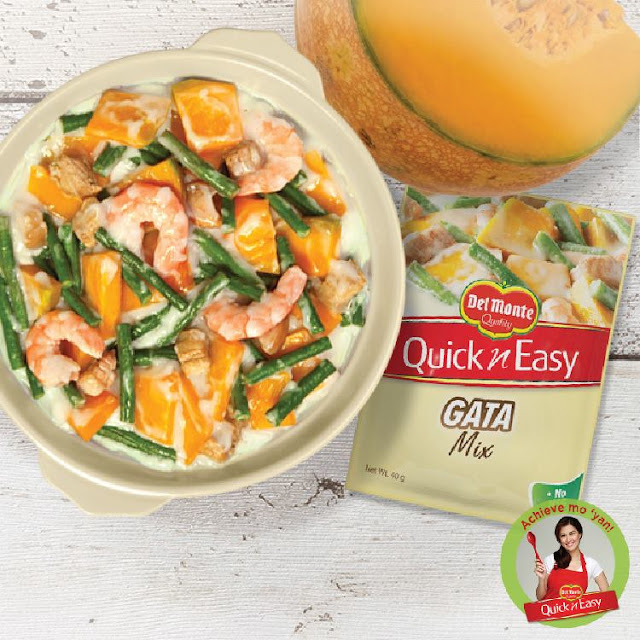 Add all the vegetables and the dissolved Del Monte Quick ‘n Easy Gata Mix. 3. Cover and simmer for 5 minutes, stirring occasionally. 4. Add shrimps and continue simmering until cooked. Serve.